So let’s start with point 1 then. 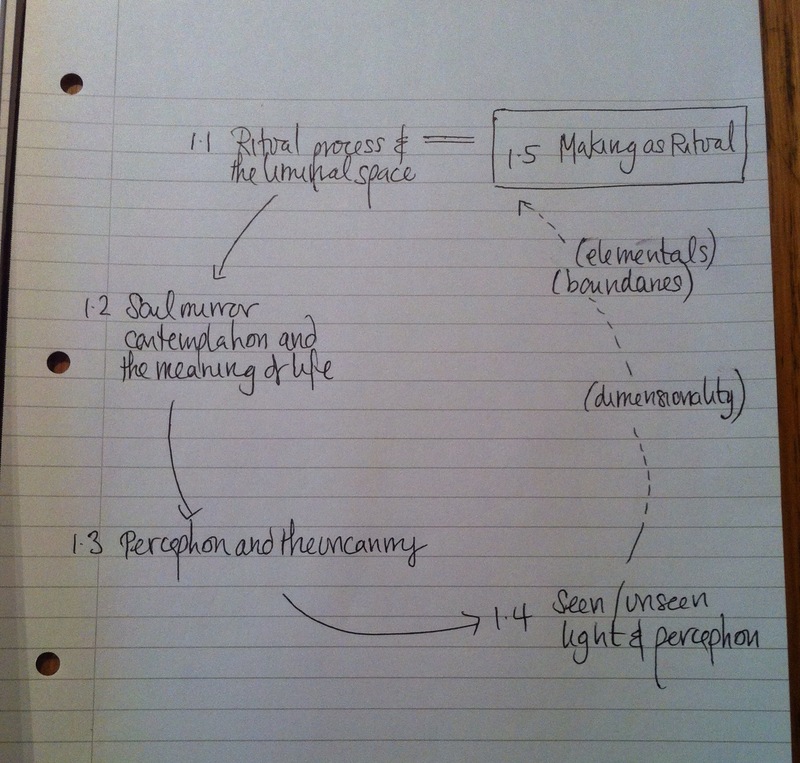 Back in September I ran through a reflection exercise on my practice and plans for the MA. I thought if would be useful to repeat this and see what differences there are. I’m going to do this without looking at my earlier post! I make contemporary art quilts and artisan chocolates. 2. In what ways do you want to change or improve what you make? I would like to expand the art form that is quilting into new areas, keeping the richness of working with textiles as a medium but putting my works into new contexts. I would also like to expand my repertoire into other areas using my skills and developing new ones. 3. What have I done so far? The MA term 1 was quite a journey, and you don’t know how far you have walked until you turn around and look back down the valley. There have been some streams to ford (carrying on the analogy), and some rocky slopes so far, but progress is steady. I feel like the sun is out, but the summit is still clouded in mist so I’m not fully sure on where the path is going. The next steps are clearer however, so I’m currently happy! I have had a progression of mini-projects (or themes perhaps), which I have been working to. Some ended quickly, others are still in play. I think creating a new mind-map will help sort this progression out. 4. What have you discovered so far? That I worry a lot, and really need to learn how to chill more. That I have enjoyed experimenting, but also realise the benefits a specific focus can give to push you forward. I have not been happy with my proposal and I think this has been holding me back. That I love the qualities of working with textiles and fibres – texture, transience, mobility, delicacy. I have also discovered over this break, that my proposal is fundamentally all about me. Let me explain: I have floated about a range of related topics, switching from one idea to the next without being able to pin down what it really is about. I wanted to find a way to link my materials and my practice with the ideas I have. I want a reason to make in the way I do. Not just making something to fit an idea. After going round a complete circle, I am now back with the idea I started with after accepting my place at Camerberwell. Only this time, slightly different. It is driven, I hope, from a perspective of making as opposed to anthropology. It is fundamentally about my own reasons for making things – and about that elusive something I spend my life searching for to give it meaning. My current working title is now “Making as Ritual”. More to come later when I write up my latest formal proposal for Maiko. 5. What will you change because of what you have discovered? — I am going to let go of trying to shoehorn any preconceived ideas I or others have on what I should be making. Mathematics for example. My life as a physicist ended 10 years ago this year, so there is no reason why I should now need to define anything I do by this (unless I want to), which for the moment, I don’t. — I have very much enjoyed the treasure hunting of artists and books, and plan to carry on with this – paying more attention as to why certain works attract me. So, that’s it for now. I’m off to put the final few stitches in the Big Exhibition Quilt. This entry was posted in 03.3 MA Project proposal, 03.6 Unit 1 reflection on 8 January,2015 by antalbot.